Today’s the first National Signing Day since the implementation of the new early signing period, which means the normally hectic day of 30-year-olds tweeting feverishly at teens they’ve never met is a bit more subdued this year. 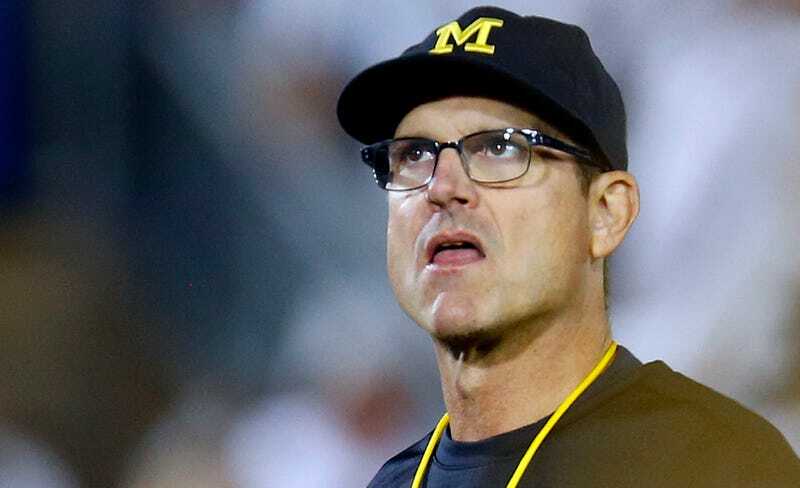 There is still plenty at stake today, however, and things are already going very poorly for Jim Harbaugh and Michigan. At 10:30 a.m. this morning, five-star offensive tackle Nicholas Petit-Frere announced that he would be going to Ohio State. Petit-Frere is ranked as the top OT in the country, and Michigan was the first school to offer him a scholarship. They remained the apparent favorites to sign him as of the new year, and Michigan hosted him several times and went after him as hard as possible. Then he decided to go play for their rivals. Ten minutes later, it got worse. Otis Reese, Michigan’s highest ranked recruit per 247 Sports, had been committed to the Wolverines for 18 months, but the 87th-ranked player in the country decided to stay in his home state and flipped to Georgia. Reese’s departure leaves the Wolverines without any of this class’s top 100 players. Not a great development after an 8-5 season and two consecutive top-ten recruiting classes!